After nearly two decades of jumping planning hurdles, a $1 billion residential, hotel, and shopping complex designed by Frank Gehry is underway across from Walt Disney Concert Hall. 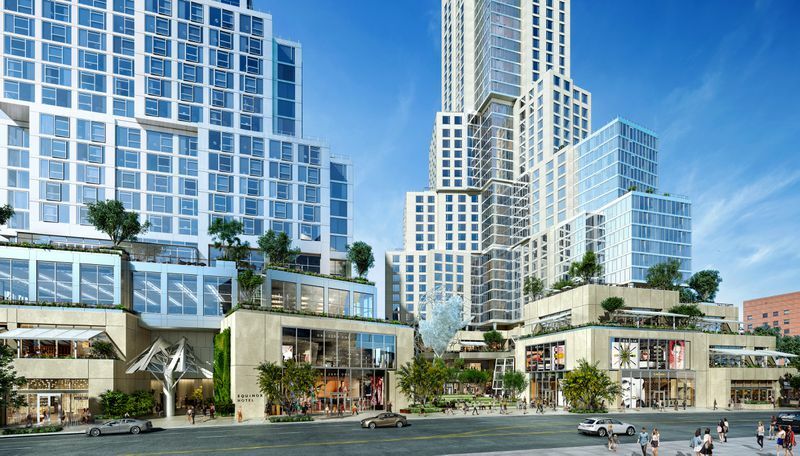 Formerly known as the Grand Avenue Project and now dubbed the Grand, the development will bring to Bunker Hill a 20-story, 309-room Equinox hotel and a 39-story residential tower with 400 residences including over 80 units of affordable housing. The complex will also hold more than 176,000 square feet of restaurants and shops, plus a public plaza. Developer Related Companies and Gehry emphasized that the Grand would provide a key connector that would draw even more people to Bunker Hill, which is already home to not only the Disney Hall but the popular Broad museum and the Grand Avenue outpost of the Museum of Contemporary Art. The project would include a 309-room Equinox hotel and over 150,000 square feet of retail and restaurant space. 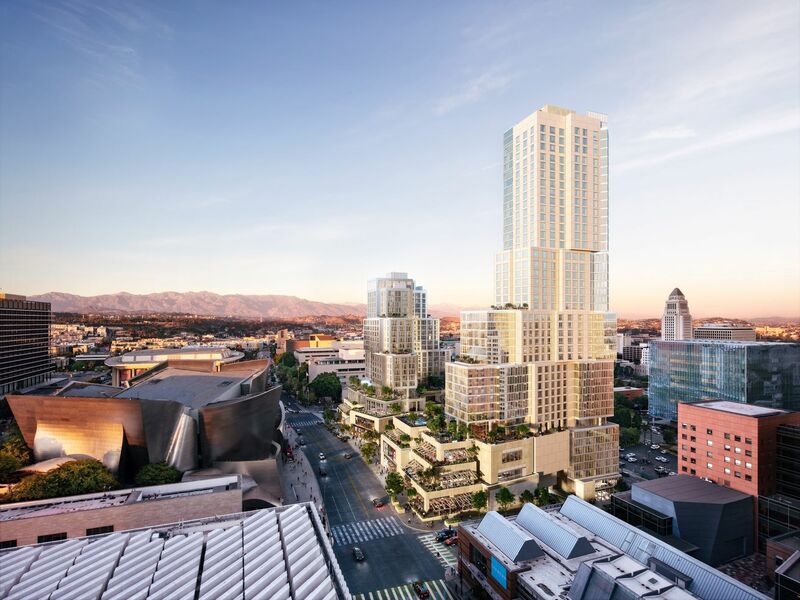 The Grand’s two towers will rise on a block bordered by First Street, Grand Avenue, Second Street, and Olive. Demolition on the site began in November, clearing away a “temporary” parking structure that long occupied the site. The development, a partnership between the developer, the city, the county, and the former community redevelopment agency, has been in the works for about 17 years, estimates Kenneth Himmel, president of Related Urban. While other parts of the multi-parcel project—the Emerson apartment tower and Grand Park—were built out, the mixed-use portion took longer to get off the ground. In November, developer Related Companies partnered with CORE US, a China-based partnership between China Harbour Engineering Company and CCCG Overseas Real Estate, and secured $630 million that allowed The Grand to finally get going. The project’s extended timeline was addressed then dismissed by most of the speakers at the groundbreaking.